New era. New look. I guess with the new coaching staff, there was bound to be some changes in other aspects of Husky football. However, I didn’t know they were going to change the uniforms this soon. This was a shocking revelation that I knew of only a few days ago! There I said it. It’s a harsh reality, but after watching the Lorenzo Romar era for the past 10 years, UDub Men’s Basketball will be hard pressed to reach the elite-level of NCAA Basketball in the years to come. Sure, Romar’s past teams have reached the NCAA tourney and even had a #1 seed a few years ago, but those glory days are years away. 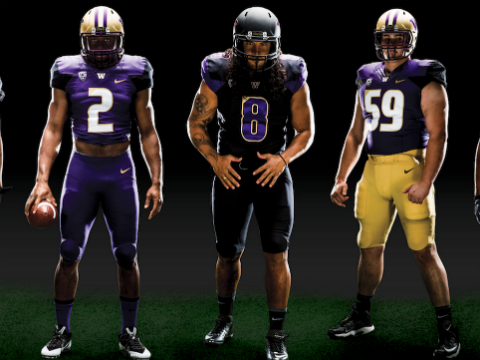 In another game showing the Huskies’ college football resurgence, UDub beat their Pac-12 rival, Colorado, 52-24. 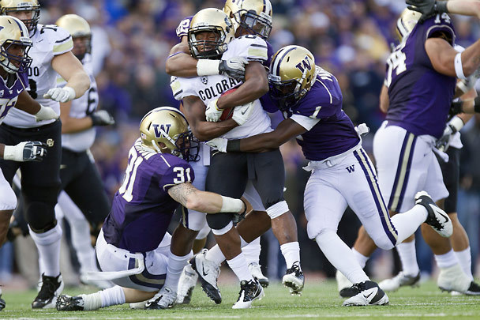 The Huskies’ defense showed much improvement, allowing a season low 269 yards of total offense by the Buffaloes. However, next week’s match should tell how far Washington football has come. They will face Andrew Luck and the 7th ranked Stanford Cardinal. Luck will be the #1 pick in next year’s NFL draft, is the most-ready NFL QB prospect in the past decade. If the Huskies keep it close, they have a chance for the upset. However, my gut feeling says that Luck will be too much for the Huskies’ defense. UDub will learn from this game, and hopefully, it will set them up to win their remaining games of the season. 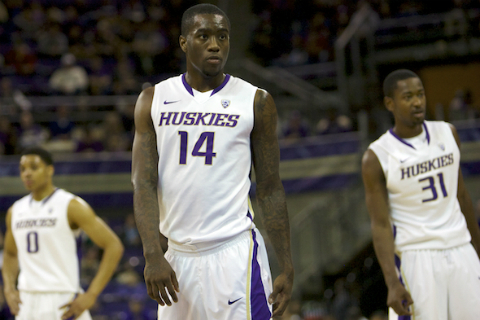 The visiting Huskies gave the Utes a demoralizing, Pac-12 home debut. UDub defeated Utah 31-14. A game that was close in the first half, became a blow-out in the second half as Keith Price threw for 3 TDs and Chris Polk ran for almost 200 yards. Although the Huskies are 4-1, they have a brutal 5-game stretch of Pac-12 games, which includes @Stanford, Oregon, and @USC. For the first time since 2007, the Huskies are 2-0 after beating Hawaii, 40-32. Although undefeated, it is worrisome that the Huskies’ defense has given up over 300 yards passing in the past two games. As a surprise to the fans in Husky Stadium, the Huskies wore white helmets, I believe, for the first time in their football history.